Lock in a great price for Bushbuck River House – rated 9 by recent guests! It is a beautiful property with opportunities to see wildlife simply from the driveway! 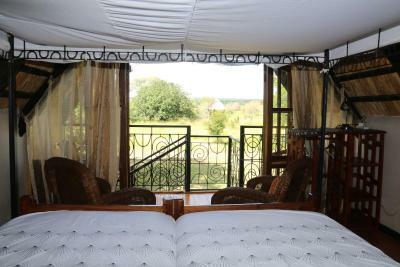 I found it very relaxing and welcoming and I enjoyed sitting in the treehouse looking at the river and bird watching. Our stay was tailor made. Food allergies and dietary requirements were expertly and deliciously catered for. 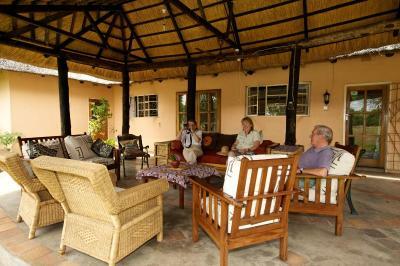 Linda was an excellent host and very knowledgeable about the trips and the animals and creepy crawlies. Bushbuck's location presents a unique opportunity to see game in their natural habitat outside a designated game reserve. The location was beautiful. So tranquil and ensured you could just relax. The staff were attentive and gave a great welcome. 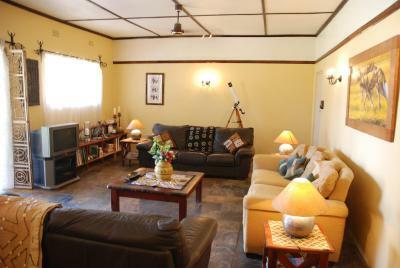 The accommodation was calm and relaxing and made you feel home from home. We hadn't advised that we would require an evening meal but they had already ensured they had a meal in place just in case. I will definitely stay at this lodge again and recommend to friends. Bushbuck River House is a small pearl hidden in the bush on the Zambezi river in a secluded and quiet setting, about a half-hour drive from Livingstone. 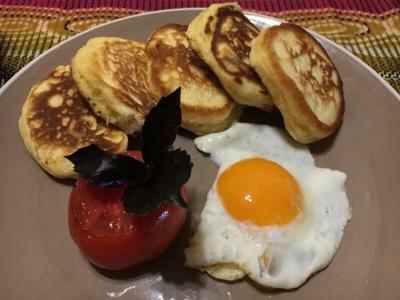 The staff make you feel welcome and at home immediately; breakfast and dinners are taken together at the same table with other guests; the room was cozy and comfortable. The dinners were well prepared and excellent. 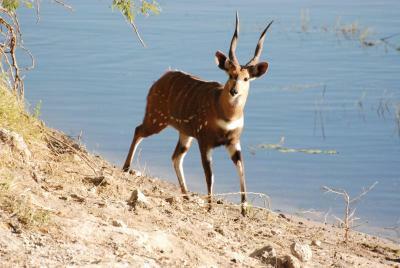 Bushbuck is on the banks of the Zambezi, quite a distance out of town. That is it's charm, but also means transfers take time and can be expensive. Both before and during our stay Oriel and Linda bent over backwards to help us plan, book activities and organize transfers, including some to / from Botswana, (saving us many USD on the transfers with drivers who were safe, punctual, polite and knowledgeable). 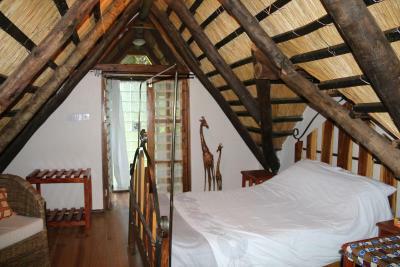 Bushbuck itself is charming - from the thatched roof to the cabana by the pool. We were there in the dry so the river was some way off, but still a beautiful view as the sun set in it. And during our stay we saw a small buffalo herd as well has having an early morning visit from a young bull elephant (who did not like my purple tee - made for a great photo!). Albert the chef did amazing dinners - Limited choices but first class, and they will cater to your tastes. The place is amazing and it is really a gem. Surrounded by nature and wild animals walk in and out. Beautiful spacey room, great breakfast. The manager, Linda is really great and helpful. 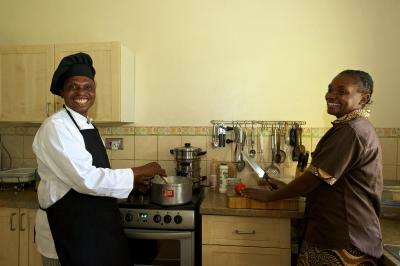 A home away from home in the Zambian bush, the service and welcoming stuff. 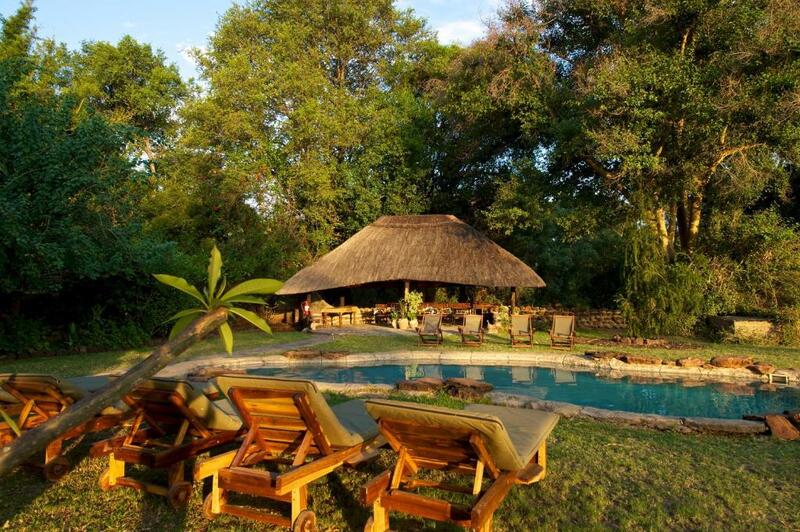 Set on the banks of the Zambezi Rover, Bushbuck River House offers accommodations with a garden and swimming pool in Simonga. 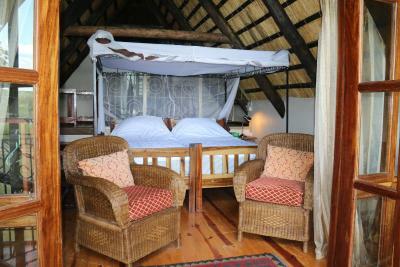 This lodge borders the Mosi-oa-Tunya National park and guests can spot various animals and bird-life. There are four bedrooms with attached bathroom in the main house, and two suites with views towards the river. There is a seating area in some units, while others have a well-equipped kitchenette with a microwave, a toaster, and a refrigerator. 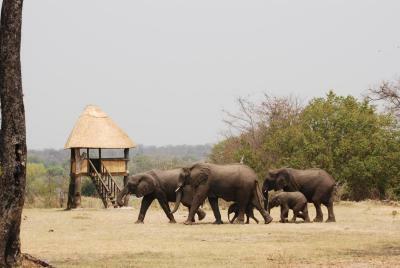 Bushbuck River House offers a booking service for a wide range of activities in and around Livingstone, including Chobe day trips and visits to the local village and school. The communal facilities include BBQ facilities and a bar on site. 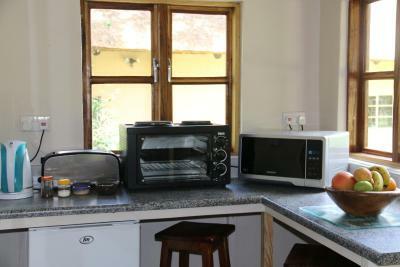 The property also offers special diet menus. Livingstone Town is 8.1 mi from the lodge. 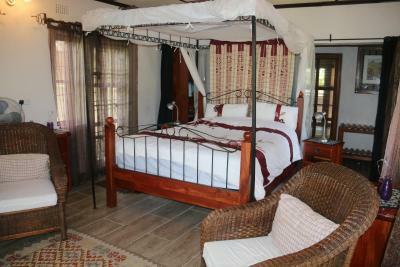 When would you like to stay at Bushbuck River House? This double room features a tea/coffee maker, tile/marble floor and electric kettle. This double room has a tile/marble floor, tea/coffee maker and electric kettle. 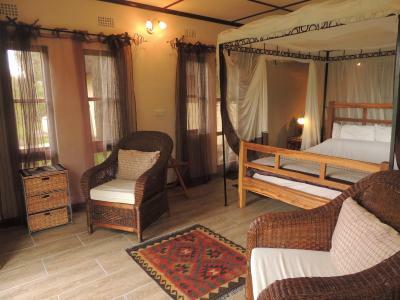 This double room has a tea/coffee maker, tile/marble floor and seating area. This chalet has a tile/marble floor, barbecue and electric kettle. This chalet features a balcony, electric kettle and tile/marble floor. House Rules Bushbuck River House takes special requests – add in the next step! Bushbuck River House accepts these cards and reserves the right to temporarily hold an amount prior to arrival. Please inform Bushbuck River House of your expected arrival time in advance. You can use the Special Requests box when booking, or contact the property directly using the contact details in your confirmation. 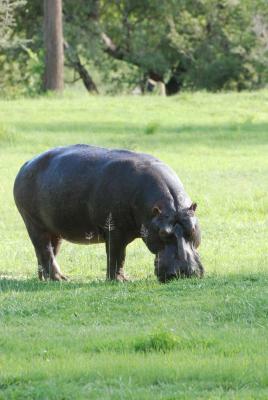 If we could have stayed a little longer to explore the setting and to have seen the rhino in the neighbouring park. 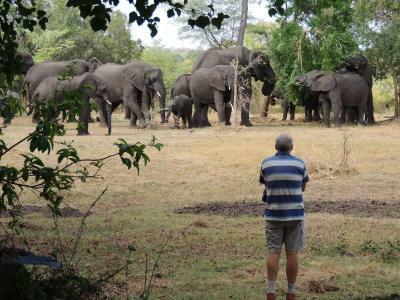 We chose to go to Chobe for the day which was amazing. 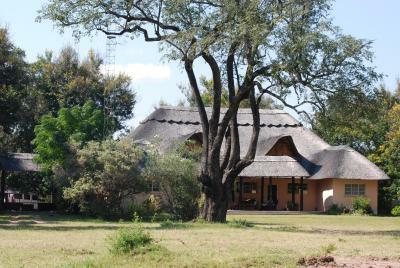 Perfectly situated just outside Livingstone on the banks of the Zambezi. The manager, Linda, is very friendly and knowledgeable. The staff are friendly and chef Albert is a excellent cook. We saw elephant and buffalo in the grounds, plus vultures, an eagle and giant kingfisher. 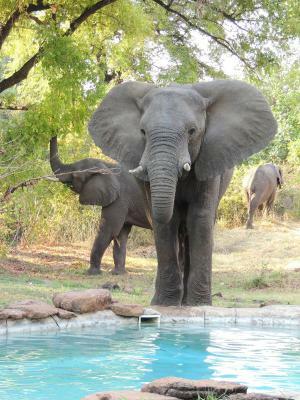 Bushbuck River House is ideal for relaxing, cooling down in the swimming pool and using as a base for Vic Falls and Livingstone. The dogs Polly and Mojo are great too! The lodge is hard to find if you do not know where it is. The room smelled very musty. 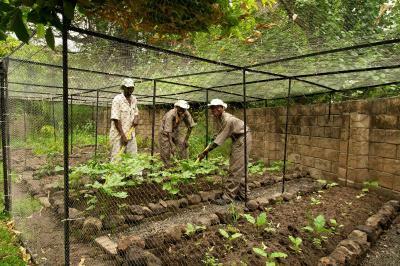 We were also warned not to open the windows (which had no screens), due to mosquitoes/malaria. The location was very far from the Falls and Livingstone, and the manager told us she would drive us back and forth to town/ the Falls, but for the same cost as a taxi, which she said was $25/35. each way, which overall made the stay not good value. The surroundings,staff and food were good. The place is 13km from town, the only way to get in and out is a cab that is some 20$USD every time. 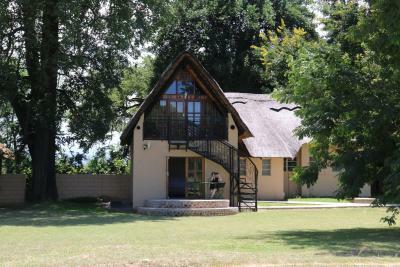 Excellent location on the Zambezi about 20 minutes out of Livingstone. Staff are very friendly and knowledgeable, especially the Manager Linda. Albert's cooking was great. Good value for money.